Experimental cinema is a niche not many of us venture into. Some more or less narrative films have been experimental in their handling of story sequence or the audacity of their imagery. We have numerous examples of this type of experimental film, but the genre as it has been parodied by and large finds its roots in filmmakers like Maya Deren and of course Stan Brakhage. His 23rd Psalm Branch is, as cinema, anti-cinematic, and as experimental work, a perfect example. Perhaps my difficulty in trying to understand 23rd Psalm Branch comes from my tradition with narrative films. I was looking for a story, and in fact was trying to create one in the images I saw, but this film works against convention, and this is refreshing and paradoxically makes the film difficult. The film is in two parts, made at different times (1967 and 1978), and is completely silent. The director’s approach to his craft, wildly original and chemically and physically complicated, was partly created by distorting the actual film stock he used, in this case 8mm, by scratching, burning, or painting on it, creating visuals without photographic light. This is a style that, for many, will have its limits, and indeed I find it to be self-indulgent and defiantly confusing, but in the case of 23rd Psalm Branch, Brakhage takes old war footage and fuses it with his technique. The first part is an artistic rendering of WWII, and psychological terrain that leads to the horrors of the Holocaust and the atomic bomb. In some cases it seemed I was looking in on the membrane of society; some shots look like microscopic footage of blood flowing through veins, some looked like the surface of the brain, and the ever flickering, ever changing kaleidoscopic vision was a perfect manifestation of a world using destruction to solve its problems. The second part tires in Brakhage’s mind to recreate Vienna, Austria, the birth country of Adolf Hitler, but I found this shorted part of the film more erratic and less representative of any motivation. It seemed to me, in both parts, Brakhage might have been comparing the horror and violence of war outside the United States to the relative tranquility that, up until September 2001, defined American civilian living. Both parts have moments of peace, of quiet, and seem to represent the American dream, but we are given allusions to the Nazis, their great architecture, the philosopher Nietzsche, who Hitler admired. The films, apparently part of a 31 piece project spanning several years, were made during and after the Vietnam War, and I think Brakhage is arguing for humility and common sense over the nature of war, and warning his audience, those who are manipulated and indifferent to it, that we support war by being silent. In this passage, quoted exactly but not in the poem-structure it is generally seen in, God is said to be our shepherd, leading us down a path of goodness and mercy where we will dwell in heaven along with our enemies, who will be seated beside us. Is the film a search by its director to find God or at least meaning in war? Or is it a warning against using religion as an excuse to execute war? It is obvious Brakhage borrows the title from the Bible, but the film’s full title, 23rd Psalm Branch, recalls in equal measure a typical war movie from Hollywood’s silver age. 23rd Psalm Branch could have been a B-grade Ronald Regan picture or a Sam Fuller effort, and indeed the film shows us images of war; some startling, some familiar, including the familiar and often revisited visage of Adolf Hitler. But Brakhage crafts less a history of WWII but lays down visually the mentality of war on human beings. In quoting this Bible passage, is Brakhage forgiving his enemies, putting his faith in God that the life we lead is merely His will, or is he being less direct with his spiritual curiosity and asking why in war we go so far? Or is he saying nothing, offering us a jolt to our senses in an effort to get us asking these questions ourselves? I’m not familiar with Brakhage having only seen a handful of his work, but if I would to danger a guess, I’d say the latter. Truth be told, I found very little meaning in the film. It worked as an experiment but it did not engage me. But I think I am being too traditional and cannot fault the film for what it is. In my self-conscious attempt to view the movie, one that went off relatively well (I was wide awake for the whole picture despite silent one hour running time), I was trying hard to link images together with ideas, trying always to stay ahead of the picture. I stayed with it, and often was impressed by the beauty of Brakhage’s colors and rhythms, but I am a very literal person. I find my patience for extremely non-narrative films to be low, but again this is my fault and not the film’s. I need to better acquaint myself with the director’s work, and thanks to Criterion’s 56-film primer, I can get but a taste of the director’s vast 350 picture career. I will say I am eager to see more, and have, but a vast project like 23rd Psalm Branch is a more difficult challenge than a 2 minute piece on Chinese characters, the director’s last work, made in 2003. I guess in a way my problem with these kinds of films is that they require less effort from the viewer; we only need to sit back and look, let the images pass over our retinas, and then afterwards, when the lights come up, should we think about what we’ve seen. This is why I think the film is anti-cinematic. The images come so fast and contorted that they’re more like sensations, and their impressions, if felt at all, are realized when every single image has been received. But maybe in saying anti-cinematic I really mean defiantly non-linear, devoid of plot or character, basically going against everything I’ve ever thought a film could be. In a sense Brakhage continually tried to redefine what cinema is. His enthusiasm is overwhelming but I can’t say he succeeded in making excellent movies. He made experiments, fascinating, original experiments, but average viewers will not care. I consider myself well cultured in film but I cannot rank any of Brakhage’s work among the great works of documentary and fiction film. That is not to say he wasn’t a great artist, or that my opinion will not change over time, but to be completely honest a great deal of his work feels like an endurance test. To pass the test doesn’t make you a greater cineophile, but someone who enjoys experimental films. Two recommendations about Brakhage’s movies: most are silent, and I know most people when watching silent movies often add their own soundtracks via iPods or MP3s. I am begging people to view his work without any sounds. All I had playing was the hum of my Blu-ray player and that was enough. Music tends to dictate the pace of the images, and while I can’t promise myself this, I hope to view every silent movie from now on without a score, unless the score was devised or approved by the director. My second, and maybe more important recommendation, is to view his films on the biggest screen you can find. IMAX might be perfect. Because they are so visual and impressionable nothing else should invade our eyes, including the vast black of the dark theater, or the black bars on widescreen televisions. 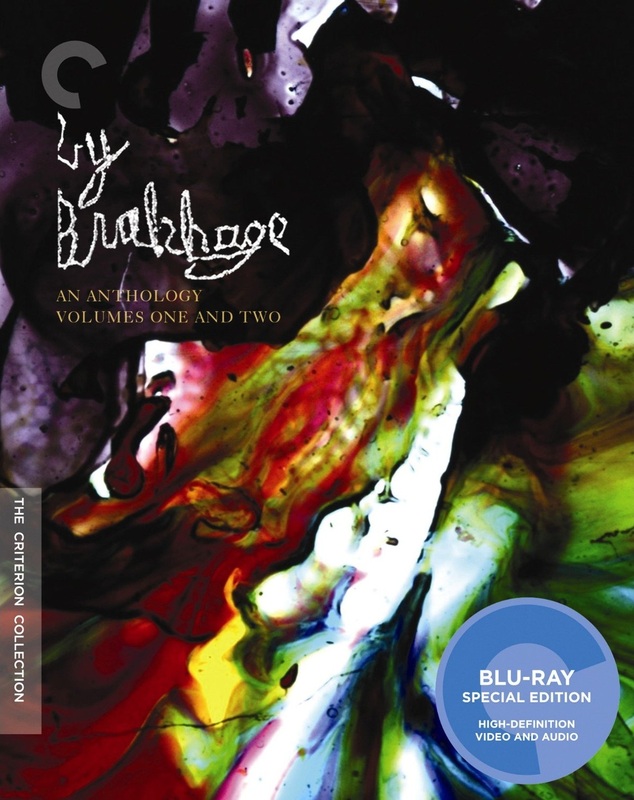 Brakhage does not need to be recommended or warned against. Chances are if you’ve heard the name, buried somewhere under film history, you know what you’re looking for. The total running time for both parts, on Criterion's Blu-ray and DVD, is 63 minutes.